Twelve boys and one coach; ten kilometres of tunnels; one huge rescue effort. 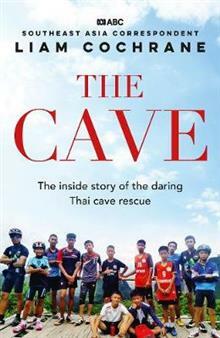 When a team of soccer players from the Wild Boar Academy Football Club - a scrappy club of undocumented migrants and outcasts - became stranded behind rising water in a labyrinthine Thai cave system, th... read full description below. Twelve boys and one coach; ten kilometres of tunnels; one huge rescue effort. 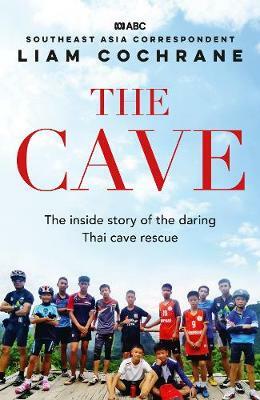 When a team of soccer players from the Wild Boar Academy Football Club - a scrappy club of undocumented migrants and outcasts - became stranded behind rising water in a labyrinthine Thai cave system, they set in train a drama that would captivate the world. Nine days later, still trapped in the dark without food, and with only water leaking through the walls to drink, their survival seemed unlikely. Yet against the odds a team of determined divers traversed floodwaters and narrow cave-ways to locate the boys - alive and hopeful. And so began one of the most daring rescues the world has seen. ABC foreign correspondent Liam Cochrane was on the ground as the dramatic events unfolded. Using his local knowledge and firsthand connections, he puts us at the centre of the story, as we witness the boys' agonising wait, the divers' battle against muddy currents, the race to pump out flooded caves, and the work of the often-quirky international experts who flew in to help. He also reveals un-reported or little-known information about the families; the background politics; the near misses and tragedies; the burn-out; the triumph; and what the future holds for a bunch of children and their coach - whose fun excursion after soccer practice turned suddenly deadly.